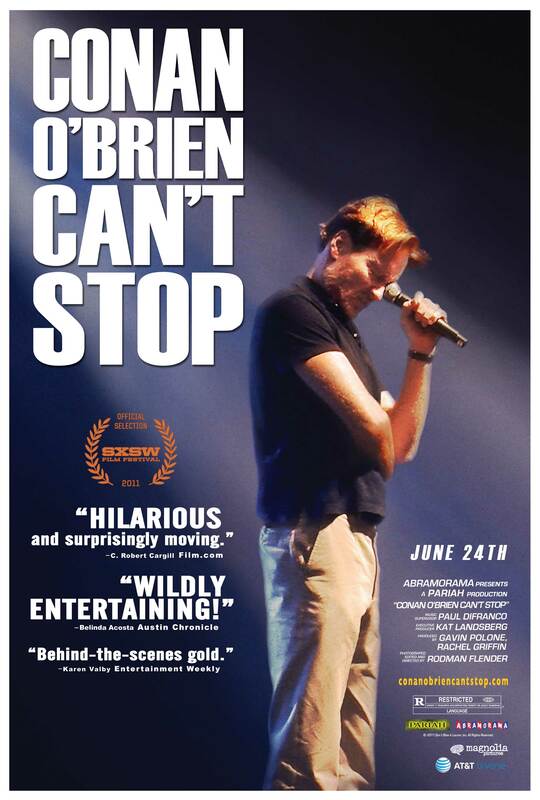 I’ll try to make this my last post about Conan O’Brien Can’t Stop, the new documentary that follows Conan as he embarks on his Legally Prohibited from Being Funny on Television Tour after his unceremonious departure from NBC and The Tonight Show. I tried getting tickets to this show almost immediately after it was announced, but it sold out quicker than I could say “Coco.” I’m anxiously awaiting this film’s release, as those who know me know I bleed Conan orange. After a much–publicized departure from hosting NBC’s Tonight Show, O’Brien hit the road with a 32-city music-and-comedy show to exercise his performing chops and exorcise a few demons. 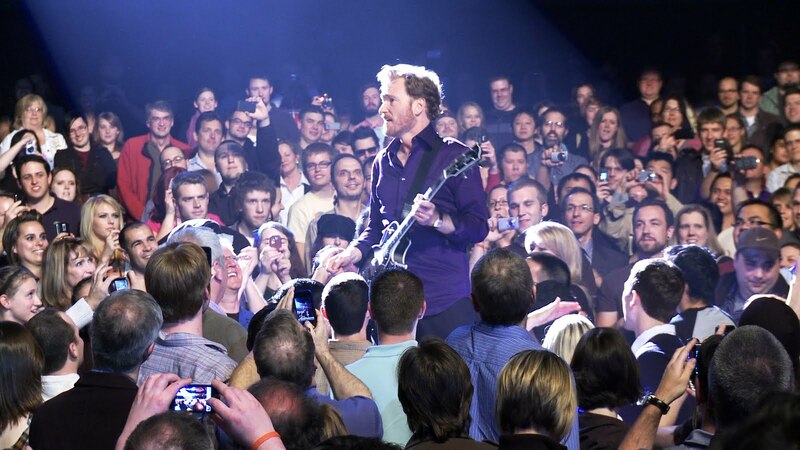 Filmmaker Rodman Flender’s documentary, Conan O’Brien Can’t Stop, is an intimate portrait of an artist trained in improvisation, captured at the most improvisational time of his career. It offers a window into the private writers room and rehearsal halls as O’Brien’s Legally Prohibited from Being Funny on Television Tour is almost instantly assembled and mounted to an adoring fan base. At times angry, mostly hilarious, we see a comic who does not stop—performing, singing, pushing his staff and himself. Did Conan O’Brien hit the road to give something back to his loyal fans, or did he travel across the continent, stopping at cities large and remote to fill a void within himself? This film opens this Friday, June 24, at New York’s new Elinor Bunin Munroe Film Center and Landmark Sunshine. Following his unceremonious exit from his long-time stomping grounds at NBC, Conan O’Brien set out on a 32-city tour, titled The Legally Prohibited from Being Funny on Television Tour. 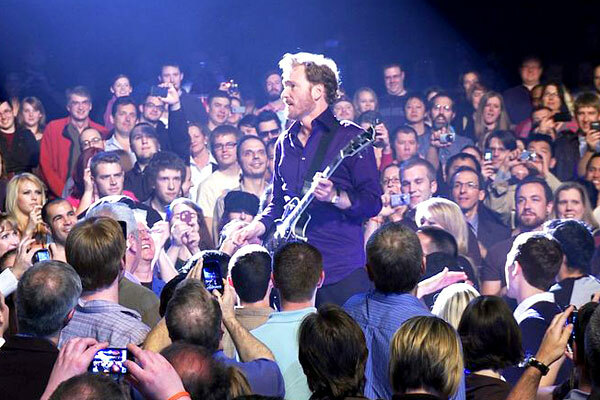 Mixing music and comedy, Conan’s tour played 42 shows in front of 130,000 supportive fans. Unfortunately for me, tickets to both New York City shows at Radio City Music Hall sold out faster than I could say “Coco,” and I was left shedding a tear for my dear Conan from afar. Imagine my excitement when I learned that Conan’s former Harvard classmate Rodman Flender captured the tour and all of the behind-the-scenes goodness on camera. Exposing a very real Conan O’Brien, Flender’s documentary Conan O’Brien Can’t Stop premiered at this year’s SXSW Film Festival, where it landed a unique distribution deal that sees three companies handling different parts of the film’s distribution. According to iTunes Movie Trailers, the film is scheduled for a theatrical release on June 24.